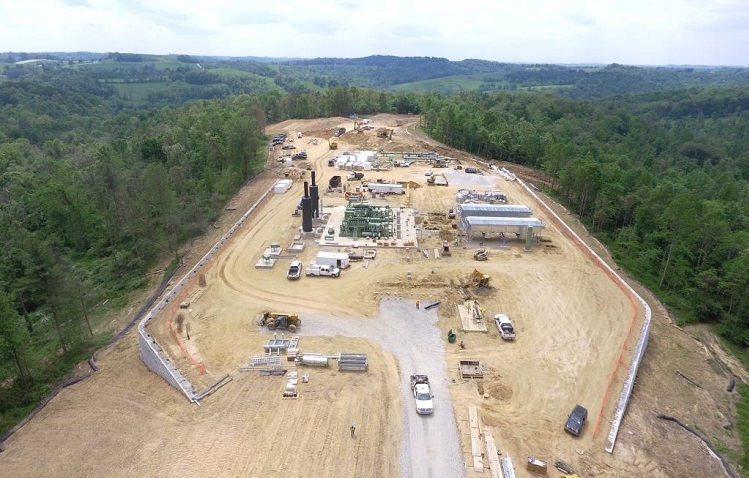 The Gibraltar Compressor Station is just one small piece to the Gibraltar and Buffalo Creek System pipeline project in the Appalachian Mountains of Pennsylvania. Columbia Midstream (Part of TransCanada) solicited the services of Glenn O Hawbaker and RediRock wall systems to develop this site. 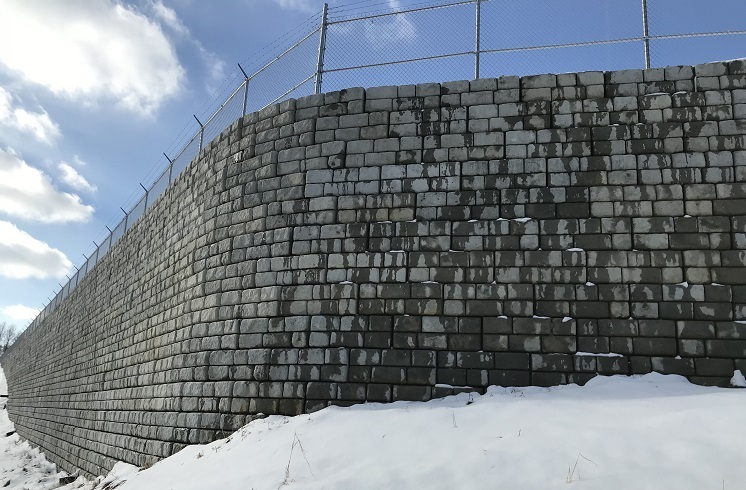 The site called for two retaining walls on the East and West perimeter of the property to raise and flatten the existing grade by about 35’. Much fill soils were imported to make the pad for the compressor station. 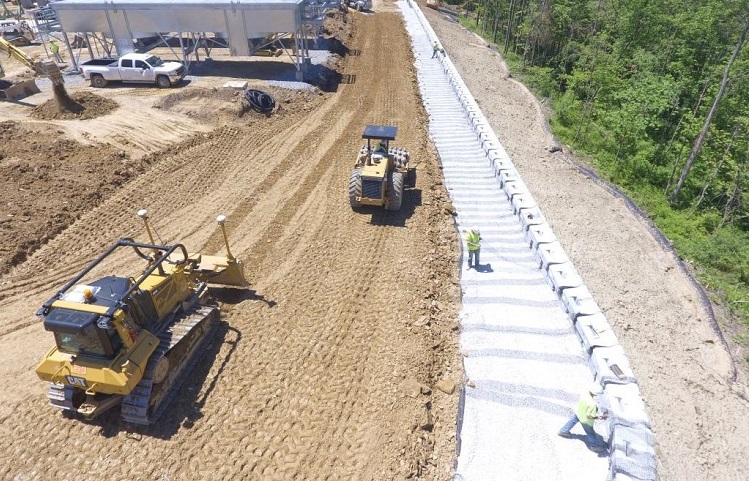 With fill material being imported, the best solution for this project was RediRock’s Positive Connection (PC) reinforced system. This allowed the owner to keep costs down while filing the site and provided much needed structural support for the Compressor Station above the wall. General Contractor: Glenn O Hawbaker, Inc.
Civil Engineer: Basic Systems, Inc.